Here is my interpretation of ciabatta made with sourdough. As a general rule wetter doughs require less madre. 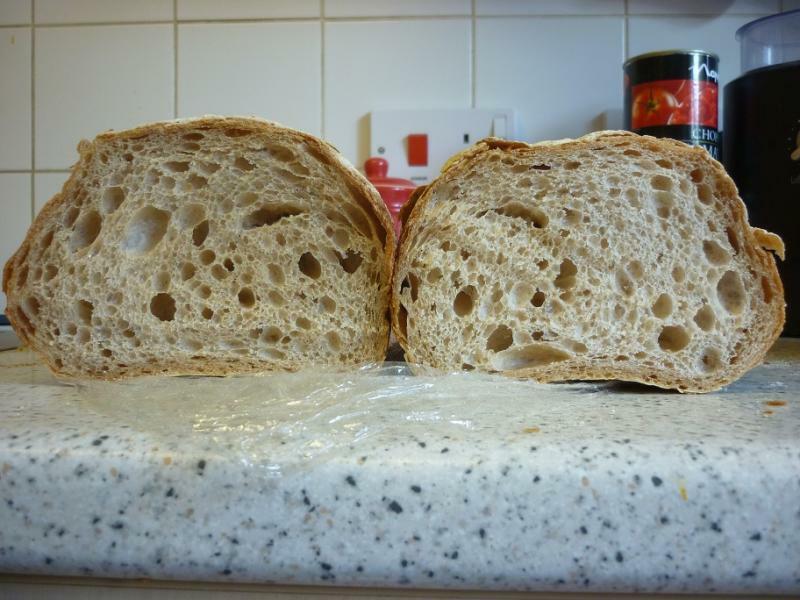 I used 20% instead of normal 25% as per doughs made at 70% hydration. 4hrs @ 27C. Stretch and fold every 30 minutes for the first two hours, undisturbed for the remaining two. Prove at room temp for 4hrs or until past double. This is super soft as I have kept lactic acid to a minimum. I have already made this again but with 30% emmer wheat and it had a wonderful aroma, definitely some diacetyl vapourising as it cooled fresh from the oven! Diacetyl is a volatile aroma compound that smells very buttery. 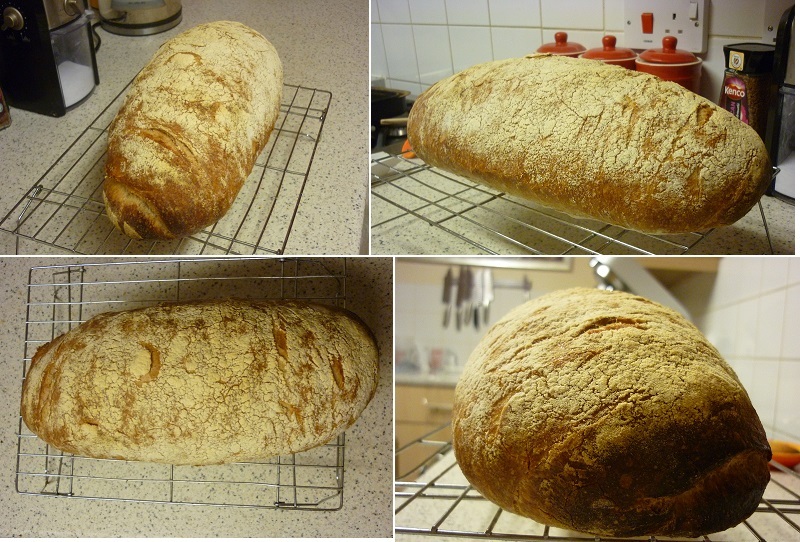 The heat of the bread made it vapourise, hence I could smell it. In sourdough the likely maker of this compound is l.plantarum. Very nice loaf. Love the crust color. What is your opinion on the flavor of the emmer compared to spelt or eikorn. I too like the colour. I think this golden hue signifies good fermentation. Of the ancient wheats I like Khorasan the most, then emmer. I haven't tried einkorn and I find spelt a little boring to be honest. Having said that I still like to use white spelt as a weak gluten alternative. Lucy loves this one Michael. Net time we make ciabatta this will be the one. Another reason to break out the mixer. Give Lucy a treat from me. Give Lucy a treat from me. Cheers man. Can't wait to see your interpretation of my formula. Excellent bake Michael. 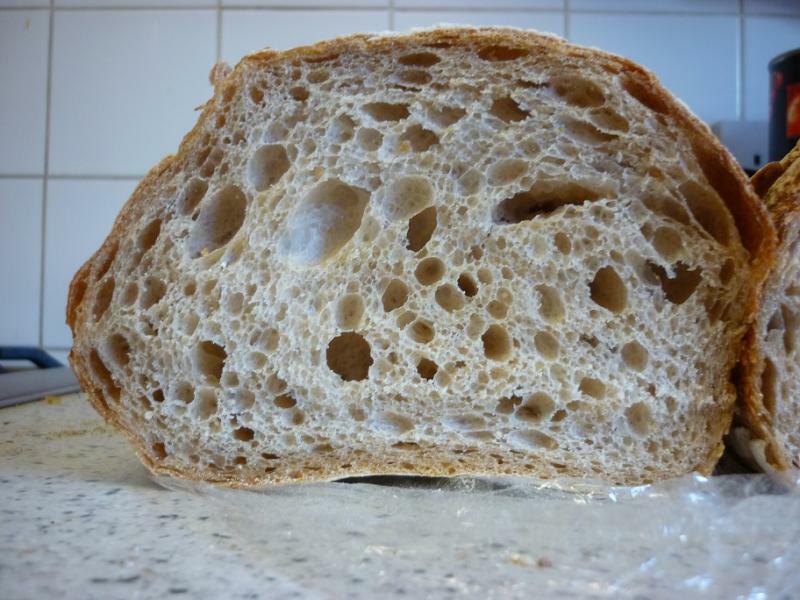 Curious if you used the typical envelope shaping technique as you seem to have gotten greater height for a Ciabatta than usual. Hi Ian, cheers. I did use the typical envelope shaping for this. Doughs made with my madre are very strong even with lots of hydration and they get stronger with bulk fermentation. At the time of shaping the dough was very elastic and tenacious with not much extensibility. As a free-standing loaf it rose vertically. This strength combined with a good oven spring typical of wet ciabatta dough gave me great height.